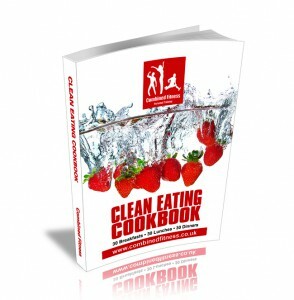 A brand new Fat Loss tool that is going to take away all of your struggles and stresses of eating clean in an instance. A 30 day clean eating meal planner cookbook. (They are all new recipes to those provided on the Fat Loss Acceleration Programme & FitCamp Programmes). Choose 1 Breakfast, 1 Lunch, 1 Dinner and Voilà!! ALL of the recipes are super tasty, you will never get bored as you are eating something different for EVERY meal! The 30 Breakfasts, 30 Lunches and 30 Dinners in a Recipe style cookbook. 1. As an ebook that can be downloaded to be read on all of your devices, (computer, phone, ipad etc).